This year the IFCA Slalom World Championships will be the sportive highlight of the Multivan Summer Opening on Sylt. 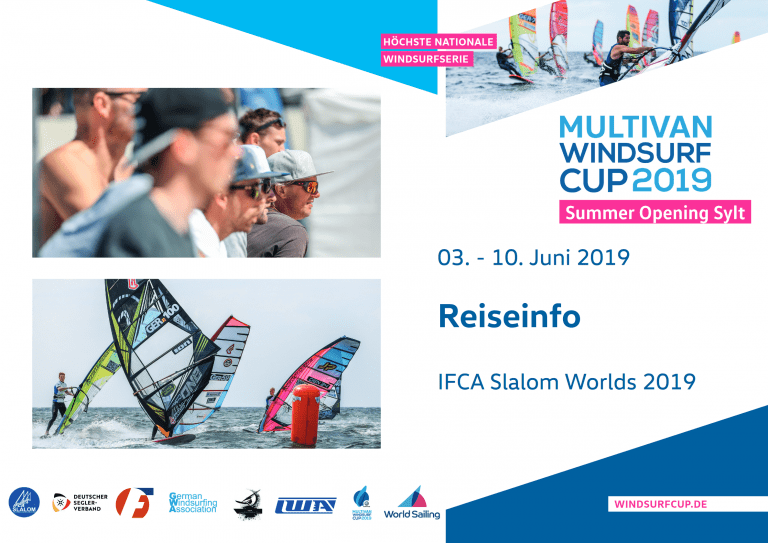 The most important slalom event of 2019 will take place in Westerland/Sylt (Germany) from June 3rd to 10th. For the first time ever the Mens Slalom Worlds are combined with the Masters Championships. So the event will be specifically attractive for all those slalom legends who dominated the competitions already 10 or 15 years ago. The IFCA Slalom Worlds offer a prize money of € 10.000,00 but most important the official Slalom World Championship title.